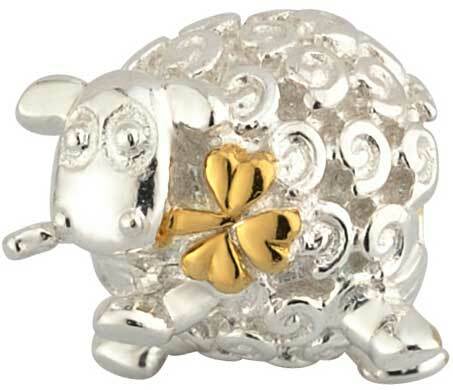 This sterling silver charm features an Irish lamb that is holding a gold plated shamrock in its mouth. The embossed shamrock charm measures 3/8" wide. 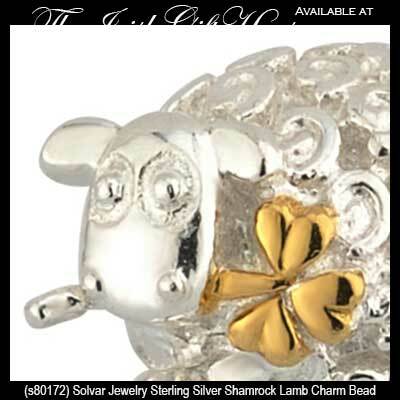 Irish charm features sterling silver construction that is enhanced with a row of gold plated shamrocks.